Sign up for our Info Session Registry! 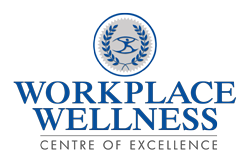 Interested individuals are encouraged to fill out the form below to receive an invitation to our "Workplace Wellness Leadership Certification Series" Information Session. Review our Frequently Asked Questions to learn all about our programs and certification requirements. Do you offer Discovery Consults or group information sessions to review program features and career opportunities, etc? Yes. Interested individuals are encouraged to email info@workplacewellnesscoe.com to schedule a complimentary 30-minute Discovery Consult to review program benefits, features and career opportunities. Group information sessions are also offered at various times in the year. Please join our VIP group via our Resources side bar to receive notifications of these sessions, as well as our other webinar offerings and our FREE workplace wellness resources. Can I enroll in the Master Certification Program (Level 2) if I have not completed the Ambassador Certification (Level 1)? No. Completion of the Ambassador Certification Program (Level 1) is a pre-requisite to enroll in the Master Ambassador Program (Level 2). If I register for Level 1, am I able to enroll in the Master Ambassador (Level 2) Program in a future offering? Yes, however opportunities to register for and enroll in future Master Ambassador (Level 2) offerings will be based on space availability. Is there a limited enrollment for each program offering? Yes. 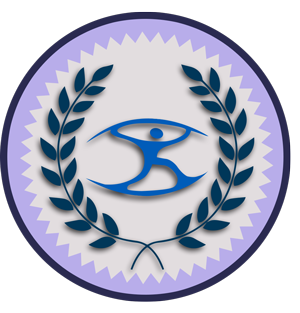 To provide in-depth training and coaching support to all our participants, enrollment for both Ambassador (Level 1) and Master Ambassador (Level 2) Programs is limited to 30 participants per level/per offering. Yes. Program registration and payment may be cancelled/refunded within 48 hours of payment and only up to two days prior to program commencement as per Workplace Wellness COE Inc. Program Terms and Conditions. How many hours per week will I need to commit to program studies, discussion posts, and the certification projects? Not including webinar participation and group project work (Level 2), participants of each WWAP Program Levels 1 and 2 are encouraged to spend on average 3-4 hours per week on readings and online discussions. Do Ambassadors receive additional training and support after the program? Yes! Both Ambassadors and Master Ambassadors will be able to post their questions and development needs in our Ambassador Facebook group for facilitator and peer support. Master Ambassadors also receive additional support via group Mastermind sessions during the year. All Ambassadors qualify for preferred fees for one-on-one coaching services and designated Workplace Wellness COE Professional Development offerings. Is participation in all the program webinars a requirement for program certification? The webinars are an integral component of program learning and skill development. The Ambassador and Master Ambassador Program certification requires a minimum participation in two of the four webinars per program. Note that the final Master Ambassador Program webinar is mandatory. Participants are required to submit a 1-2 page summary from webinar replays for up to 2 missed webinars — excluding the final, compulsory webinar in the Master Ambassador Program (Level 2), which involves group project presentations, one of the requirements for Master Ambassador certification. Are there any tests involved in either certification program? No. There are no tests involved in either program. Certification requirements, including group-developed projects, may be referenced in the Program Overviews. When can I access the Focus on Healthy Eating Facilitator Program resources, or Lunch and Learn and Campaign Databases? Registrants of the “Focus on Healthy Eating” Certified Facilitator Program are provided related training materials and access to the elearning platform immediately upon registration (see program information in FOHE page). The Lunch and Learn and Campaign Databases are provided upon full completion of and certification in respective programs. Do I need to recertify each year to keep my certification? No. However, Certified Ambassadors and Master Ambassadors are expected to maintain/upgrade their professional development in workplace wellness through active involvement in our Ambassador Facebook group*, Workplace Wellness COE professional development offerings, and industry webinars and courses. * Active monthly involvement in our Workplace Wellness Ambassador Facebook group is a requirement to maintain good standing with both certifications and to receive annual updates to both Lunch and Learn and Wellness Campaign databases. Yes. We offer a payment plans for each Program Option. Refer to the Program Investment & Registration section for more details.